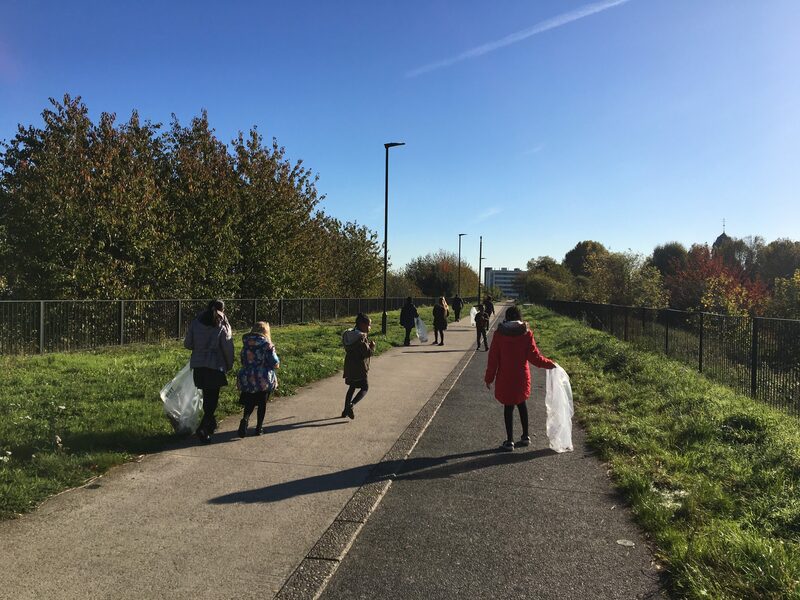 Last week Dot Dot Dot staff and guardians joined forces with Thames Water, Newham Council and local school children to clean up the Greenway – Newham’s green walking and cycling highway. 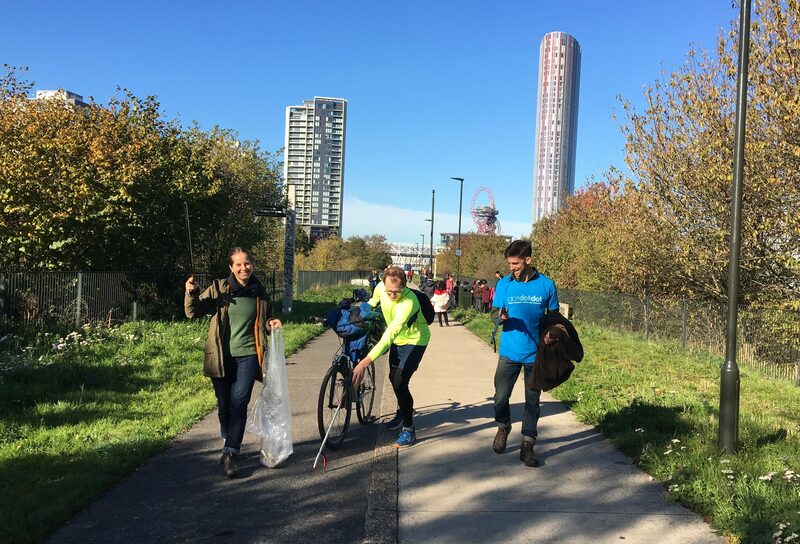 This was the third edition of the Greenway Clean Up near our offices in East London, and it was great to get out into the community with local partners and residents on such a beautiful autumn day. 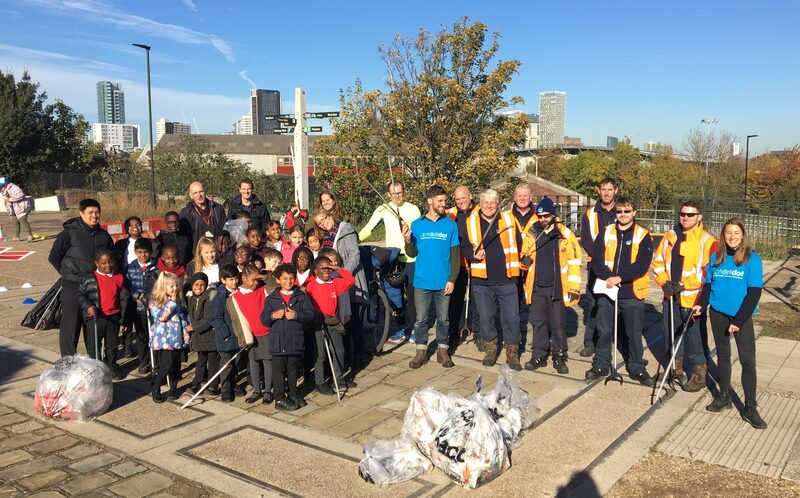 The teams from Newham Council and Thames Water supplied litter-pickers and rubbish bags, and the crew of volunteers did the rest. Amongst the team of volunteers were some of our staff and guardians. 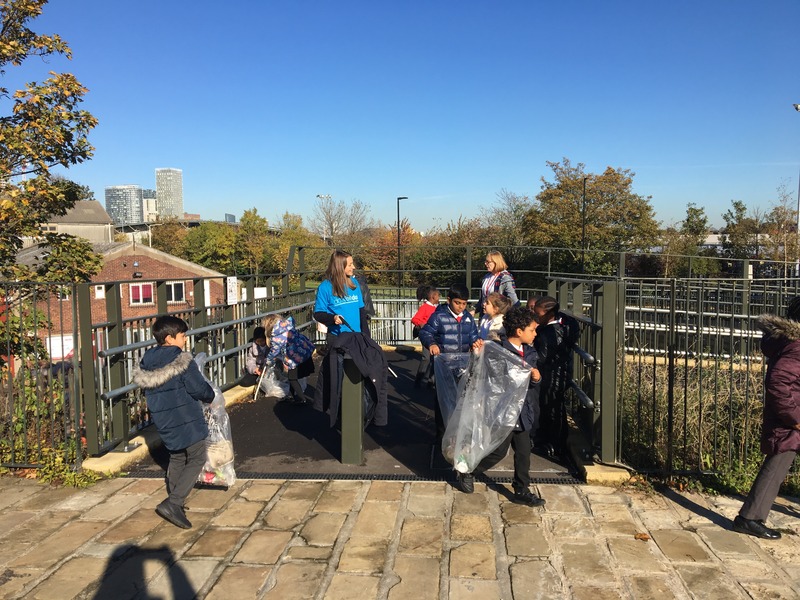 When the hard work was done we returned to the View Tube Cafe for some well-earned treats.